To download PDF file of the A.I.S. Resources presentation, click here. 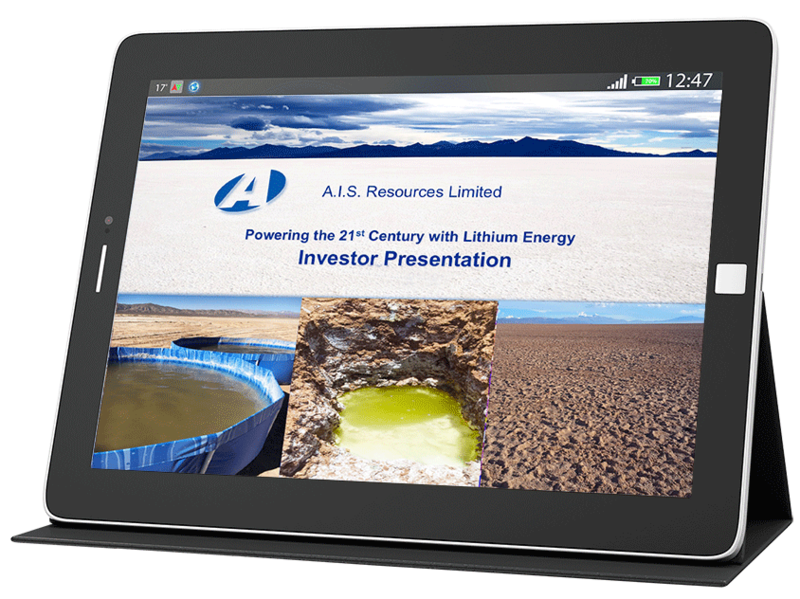 Please take a moment to view our presentation, which provides an overview of the company and our Argentine Lithium Projects.